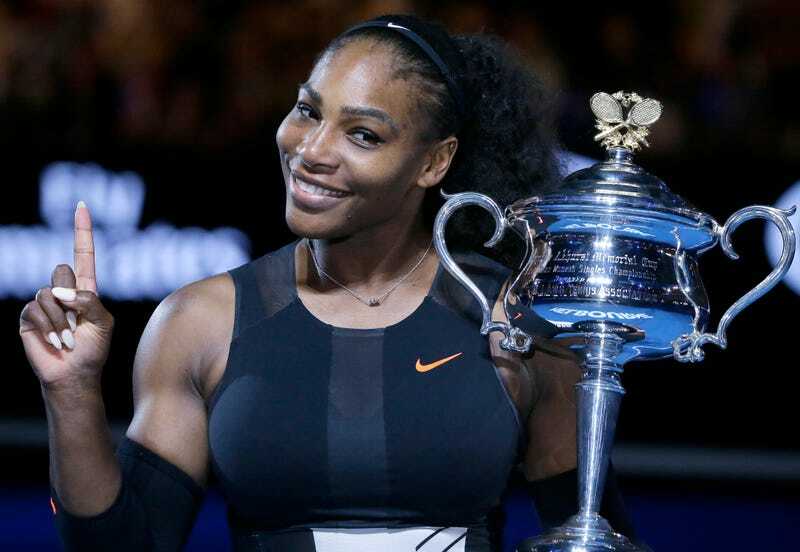 The GOAT, aka Serena Williams, is set to play next Saturday at the Mubadala exhibition tennis event in Abu Dhabi in the United Arab Emirates. It will be her first time playing tennis since giving birth and winning the Australian Open 11 months ago. As CNN reports, Williams’ last tournament win was even more legendary than usual, given that she was two months pregnant at the time. In Abu Dhabi, she will take on Jelena Ostapenko, the French Open champion. It will be the first time the two players square off against each other. Williams’ and Ostapenko’s appearances at the Mubadala exhibition will also make history because the tournament had previously been for men only. Meanwhile, Williams appears to be enjoying motherhood, posting this photo Sunday of herself and her newborn daughter, Alexis Olympia.